Each year, we spend our last month together reviewing what we studied and creating final projects. The students are asked to choose two texts and create a project relating them together. They are invited to use any medium – draw a comic, write a story, d’var Torah, compose a song – to share their personal interpretations and conclusions about these texts. Check out a few of these awesome projects here! 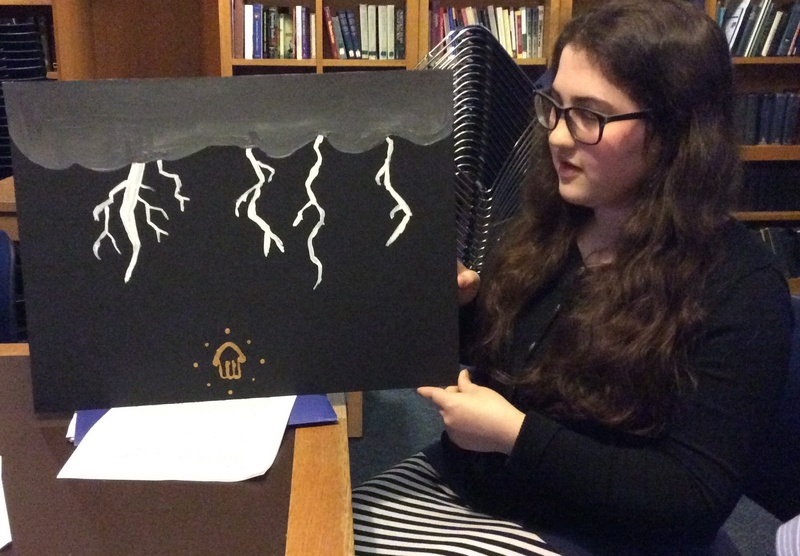 Hannah displays her painting which accompanied a personal essay on relating to God through science and natural phenomena.